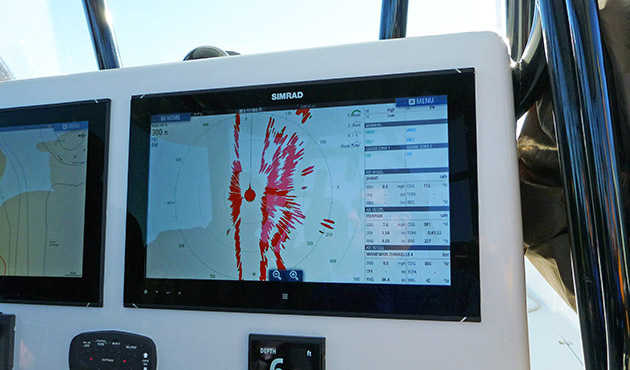 Simrad has long been a standard name in the marine electronics industry, but now more than ever; the Simrad brand stands for quality and innovation. 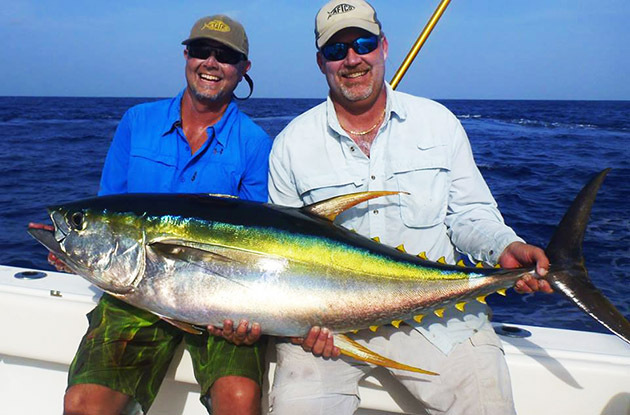 With the aggressive goal to improve existing products and create totally new technologies, the Simrad team works tirelessly to deliver new products at an unbelievable pace, while maintaining quality and user friendly systems. 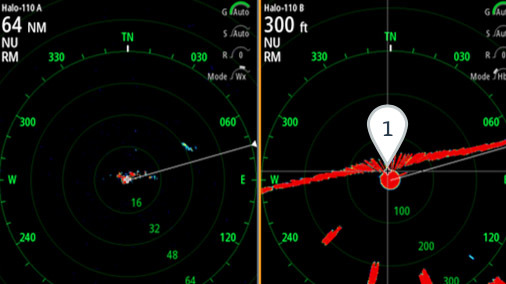 The newest HALO Radar system is no exception and brings unprecedented capabilities to recreational boaters and fishermen. The HALO Pulse Compression Radar is the world’s first high-performance solid-state, open-array radar system using pulse compression technology that is designed for the recreational and light commercial markets. 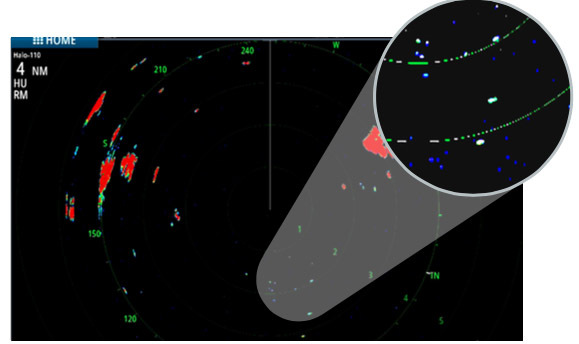 The HALO combines the positive aspects of Broadband Radar which has amazing definition and clarity at close range, like 20-feet, while also giving long-range performance up to 72 nautical miles like a traditional open array radar. 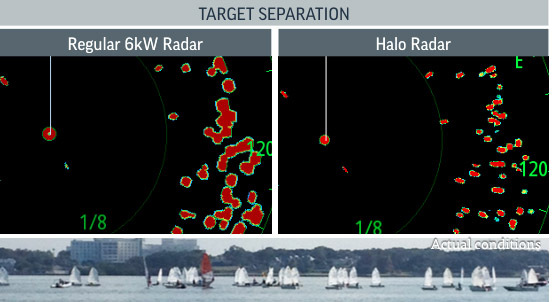 Anything but traditional, the HALO radar uses Beam Sharpening to enhance target separation control while offering the benefit of incredible target resolution. The HALO can also operate as two separate radars and monitor two different radar ranges at the same time. I got to see the HALO in action during a press event, long before the recent launch and I was blown away by the close range target separation. I could see the bow of the boat marking in the center of the picture and watched a pair of cormorants mark across the screen as they flew by about 100-feet away. 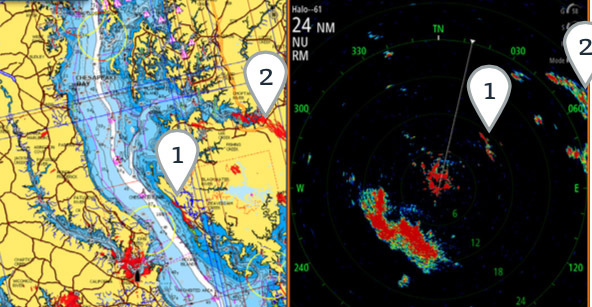 As a captain who uses the radar to mark birds while tuna fishing out of Port Canaveral and the Bahamas, I was shocked to see this up-close clarity. Traditional radars that we have used for years, are so cranked up to see birds at a distance, that you tend to lose them in the clutter inside the two-mile mark. This means you point and shoot and hope you don’t lose the bird pack during that “blind” period. I immediately envisioned the HALO tracking the birds clearly until they were right off the bow. What a breakthrough this is for many types of fishing. In fact, with the dual screens, you could track one pack in close, while monitoring a larger range to keep up with other more distant packs or other boats. The improvement to our fishery will be incredible with this new technology. There are many other innovations that will translate into real-life improvements. 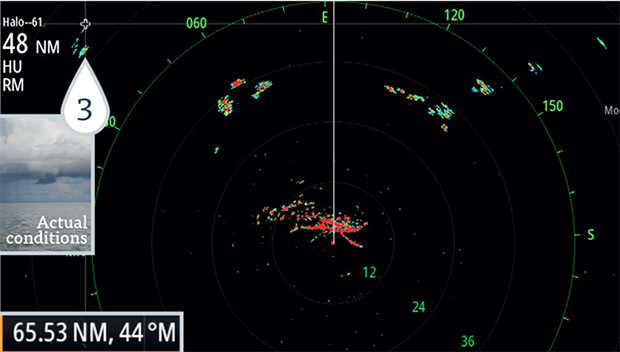 According to Simrad, “Unlike traditional pulse radars, HALO does not rely on a high-powered magnetron or vacuum tube to transmit a signal – allowing it to produce a crystal-clear, accurate radar image instantly from standby and in 16-25 seconds after power-up. This eliminates the standard two- to three-minute warm-up associated with traditional pulse radars. A rugged, helical gear-train construction coupled with HALO’s brushless motor ensures quiet operation at any speed. This motor design also makes it less likely to wear out or need servicing, which can be required with traditional pulse-radar mechanical systems. In addition, solid-state technology means compliance with the latest, low emission and radiation standards – making it safe to run HALO in anchorages and marinas. In fact, HALO is radiation safe to people within the swing circle of the array on all models. In Standby mode, power consumption is only 6.5 Watts, versus 10 or 15 Watts for traditional pulse radars. Another positive aspect to the new HALO system is its low power consumption, which makes it ideal for small to mid-sized boats. 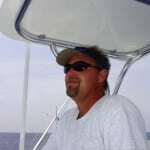 HALO is available in 12 or 24-volt systems and offers 3-, 4-, and 6-foot arrays. Speaking of the array, a couple of cool features we saw at the sea trials were the built in LED accents on the antennae and the magnetic stop that grabs the array in the proper position as it winds down after shutdown and there is nothing wrong with looking good too. 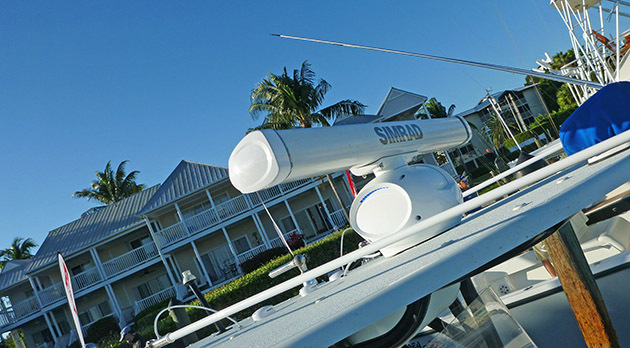 The HALO Radar will connect to any Simrad NSS or NSO evo2 multifunction displays via an interface box and very streamlined cables and connectors, making the wire pull and installation as easy as that can be. The HALO systems will be available soon and are very reasonably priced. I can’t say enough about how excited I am at the upcoming enhancement of our radar fishing abilities, while retaining the long-range ability to track weather as well. It will be an unbeatable combination in my book. 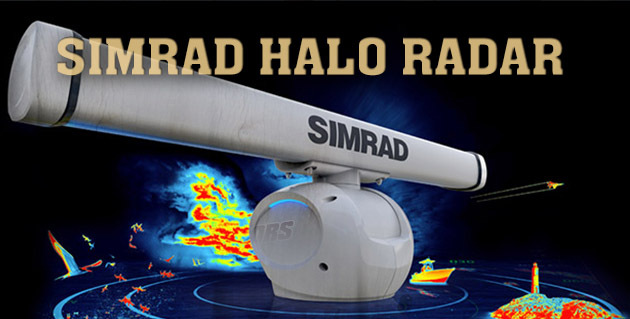 For more information about the HALO Radar or the entire line of Simrad Yachting marine electronics, please contact 800-324-1356 (toll-free) in the USA or 800-661-3983 (toll-free) in Canada or visit simrad-yachting.com. 81.88-pound Potential World Record Striped Bass!